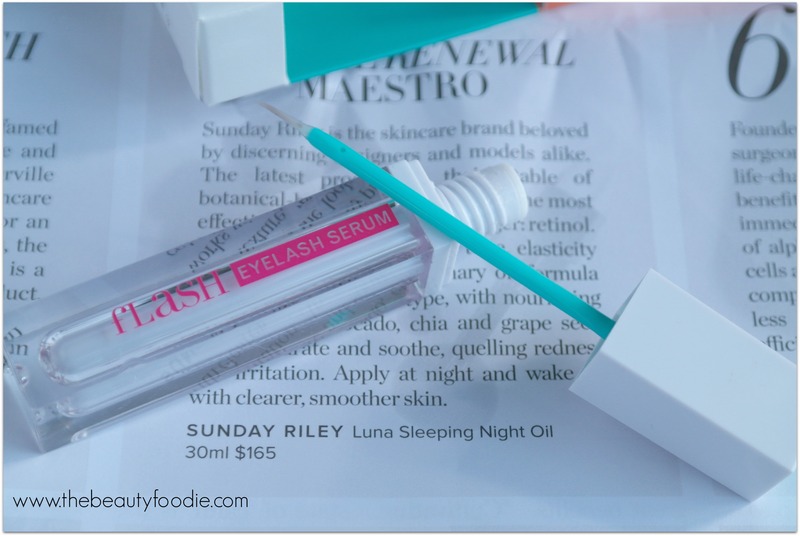 I’d seen a few promo pics on Facebook for eyelash serums like Revitalash and LiLash but my bum, frankly, was puckering at their NZ$120+ price tag. Then, purely by chance, I spotted Flash Eyelash Serum at Rotorua’s Life Pharmacy and, this time, the $59 price made me smile. I was super hesitant and skeptical that the serum would really work, but curiosity, urged on being troubled by my short and snapped eyelashes, I thought “stuff it” and dubiously handed over my hard earned cash. Note, I hadn’t even heard of Flash at this point, I was buying ‘cold’. 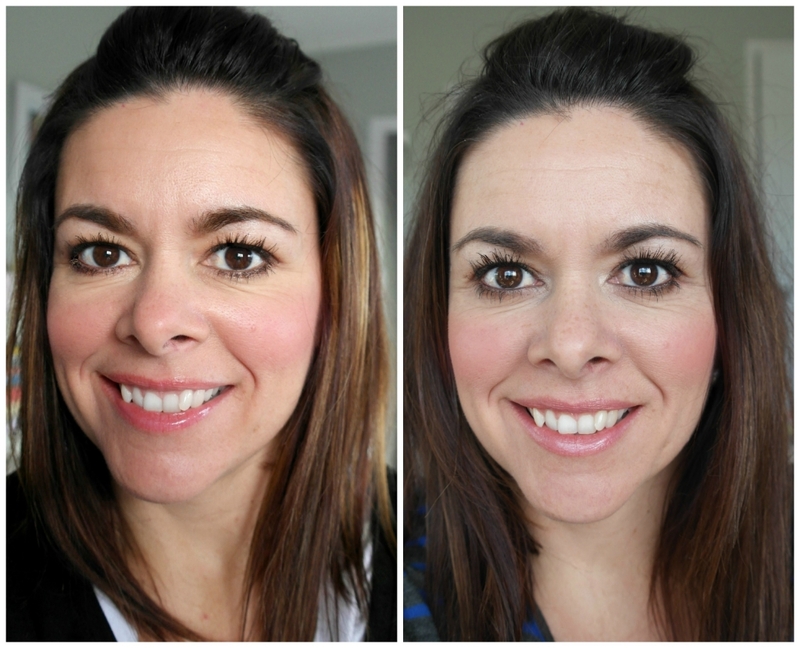 I had read a few Nexter guides all about eyelash serums and the do’s and don’ts so I was ready when the product did arrive! 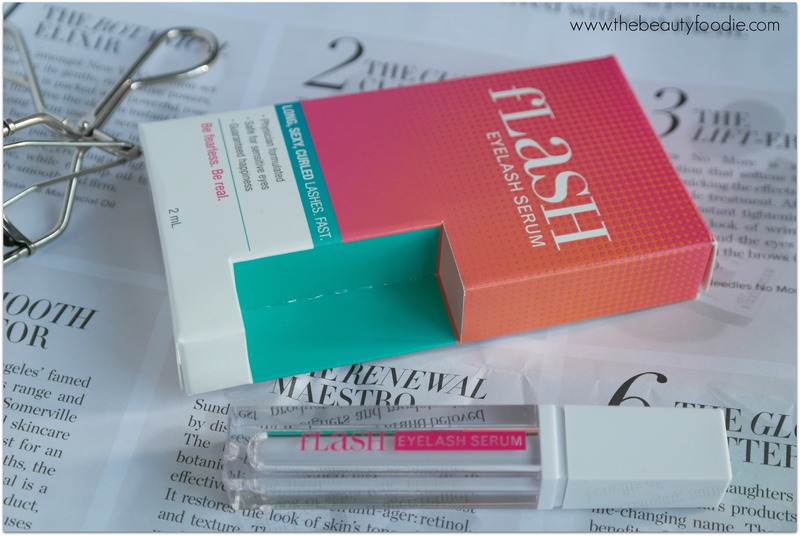 The verdict on my Flash Eyelash Serum Review? I’ll cut straight to the chase – I’ve been using Flash Eyelash Serum for five weeks and I’m freaking IN LOVE. My eyelashes are lush, long and spidery, to the point where my husband jokingly suggested I give them a trim. I’m absolutely stoked and I’m high-fiving myself for saving some serious coin in the eyelash serum department. All up, I reckon my lashes have grown about 2mm. Check out the before and after photos. There’s the evidence. Flash is like fertiliser for your eyelashes. I look like a convict, but at least it’s a decent close-up… There’s a few lashes just touching my eyebrows! 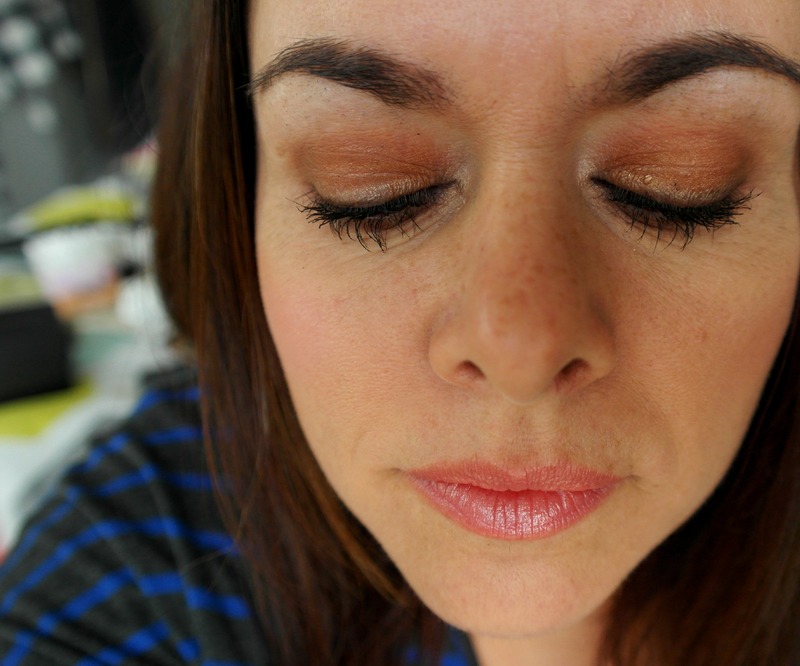 Yes, I am wearing mascara – Maybelline’s Lash Sensational (waterproof). It is sensational, FYI! Apply the serum once a day to clean (dry) eyelids, right along the eyelash line. I try to do this with one stroke, gliding the applicator brush along the lash line from one corner of the eye. It takes 2-3 minutes to dry. I apply Flash at night because I’m too impatient to wait for the product to dry before applying my makeup (time is of the essence, especially on weekday mornings!). The little instruction booklet says it takes 2-6 weeks to notice a difference and I’d agree with that: It took 5 weeks for me to notice any difference. Actually, I’m glad it took effect, as I was just about to lose my patience with the product and give it to a mate to try to see if it worked for them – so it’s just as well I hung in there! It’s a bit like Pantene shampoo: It won’t happen overnight, but it will happen! Yeah, in hopes of having it work super fast, don’t try applying it multiple times (like four) to your lash line, your eyes will get really irritated. Don’t ask me how I know that… Doh. There’s 2ml of product in each application tube. This should last for around three months. The packaging reports that it’s physician formulated and good for sensitive eyes. I’m wearing, as usual, a shitload of mascara in both the before and after photos. Which mascara? Maybelline’s ‘The Falsies’ in the first photo and in the after photo, Maybelline’s Lash Sensational (waterproof). I’ve also curled the be-jesus out of my eyelashes (again, just for a change). 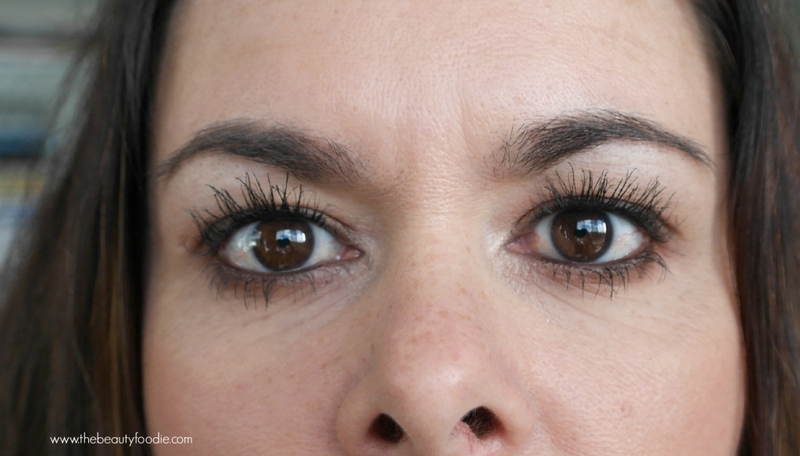 I’ve since read a few reviews on Flash and other people have found that their eyelashes both thickened and lengthened. I haven’t found my eyelashes have thickened though – they’ve just grown in length like spiders. Each to their own. Probably a bit of a disclaimer is warranted: This was my experience, Flash worked for me, it might not work for you. I got no eye irritation, if you are a bit sensitive (not on the emotional spectrum, silly, the sensitive eye spectrum), this, despite the packaging swearing it’s for sensitive eyes, you might get some irritation. Price: NZ$59 (approx). Available from: Online via Beauty Lounge (I get mine online, free delivery, arrives overnight #boom). You can also buy it from Life Pharmacy and Farmers. Flash is amazeballs and I’ll be buying this again, for sure! Update from September 2016: I stopped using this for a while and my eyelashes returned to norm (remember eyelashes grow in cycles and regenerate). I purchased another tube of goodness from Beauty Lounge and KAAA-CHING, after four weeks, I’ve got beautiful long lashes again. So long the lady in the post office asked me where I get my extensions done.. 🙂 Luff her. Have you tried eyelash serum? Which one do you swear by?